Right, I'm all extended now. I just need a lack of clouds! j.gardavsky, morrbru, Davesellars and 2 others like this. 130 retired injured, needs a new mirror. motorised focus/Lunt pressure unit - waiting for Spring. William Optics 102 GT/Lakeside motorised focus. Skywatcher Skymax 180 Pro/Pegasus motorised focus on OVL Crayford. EQ2 ; NEQ3 ; NEQ6 Pro. Thanks, it's actually the top of an antique ottoman heirloom. It isn't worth anything, but apparently my great, great, great, great grandmother bought it new or swapped a pig for it or something. Those eyeguard extenders are a very nice addition. I had one on my modern 32. Now I use the old smoothie version and have had to 'master' the hovering technique. Have you seen the forecast???? .... I'm sure a couple of TV extenders aren't responsible though for incoming storm Freya. Altocumulus and Shorty Barlow like this. 12" Dob; Skywatcher 80ED & 120ST; EQ5; Grab and Go Alt/Az; 60mm RACI & Rigel Quickfinder. The 40mm has the new one, I'd swapped the old extender onto the 32mm. I've been doing some daylight tests with the ED80 and 1.25" diagonals. I've decided these will be easier to rotate than 2" diagonals. 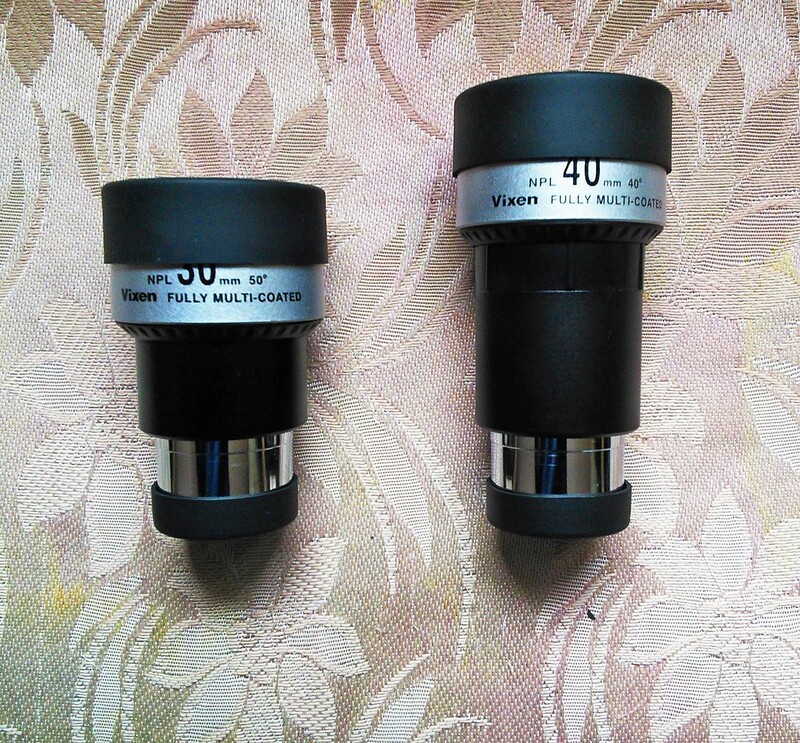 I tested a few eyepieces. The 40mm won't achieve focus without an extension tube, although the 32mm is fine and feels pretty good with an extender. Plus, I'm going to have to stack two extenders on the 40mm for it to be really comfortable. 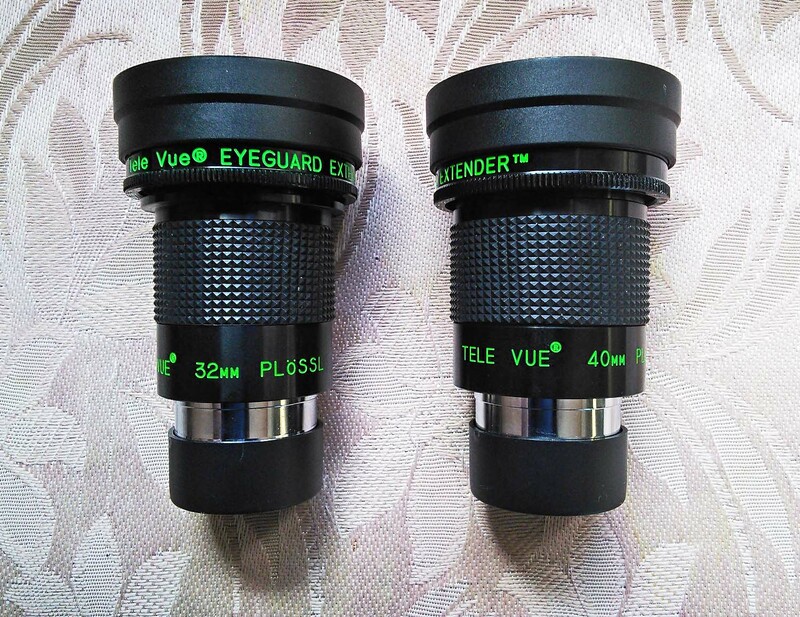 The 30 and 40mm Vixen NPL's focus fine in the ED80 and are probably the most ergonomically comfortable Plossls of this focal length I've used. That's alright, then - only half your fault. Brilliant blue sky this morning, but too windy for a sensible look at the Sun! I may have to order a second extender to stack with the first on the 40mm. So brace for a tornado lol. It went clear last night just after midnight. I think we've been a bit spoilt by the mild February weather. I use one of those on a 35 Panoptic to reduce the eye relief from a hovering 24 to a more comfortable 16. CCD Deep Sky Imaging M-78 The beginning of an extended project.